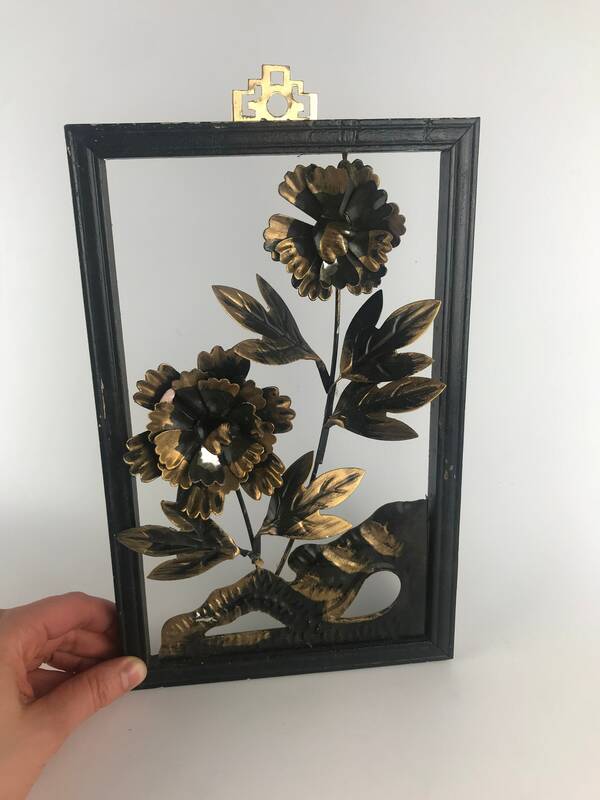 Floral Motif Cut in metal sheet, with wooden frame. Primarily black with gold detailing. 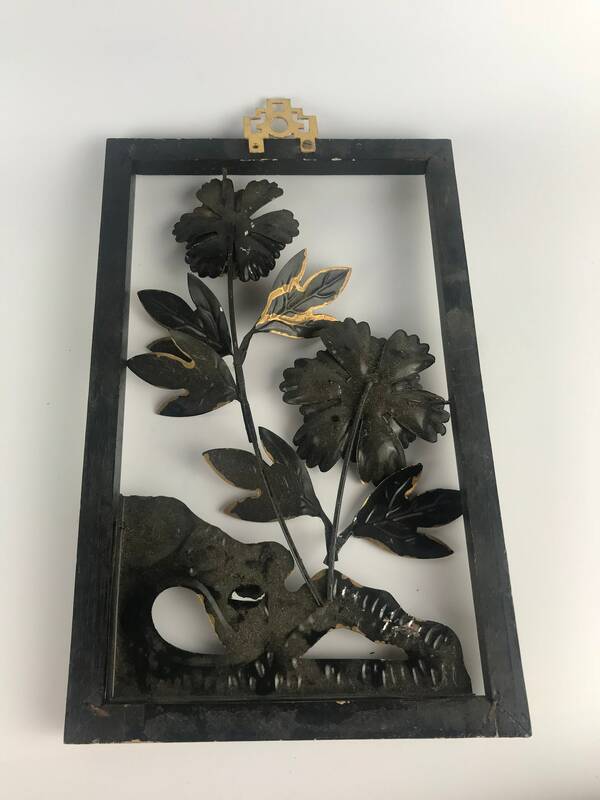 Very unique piece, with lots of layers and would look great in any home! Condition: Good, with age appropriate wear along frame, some scuffs. Additional Details: Please reach out to seller with any additional questions or special shipping requests. Local Asbury Park or Freehold NJ pickup may be available. 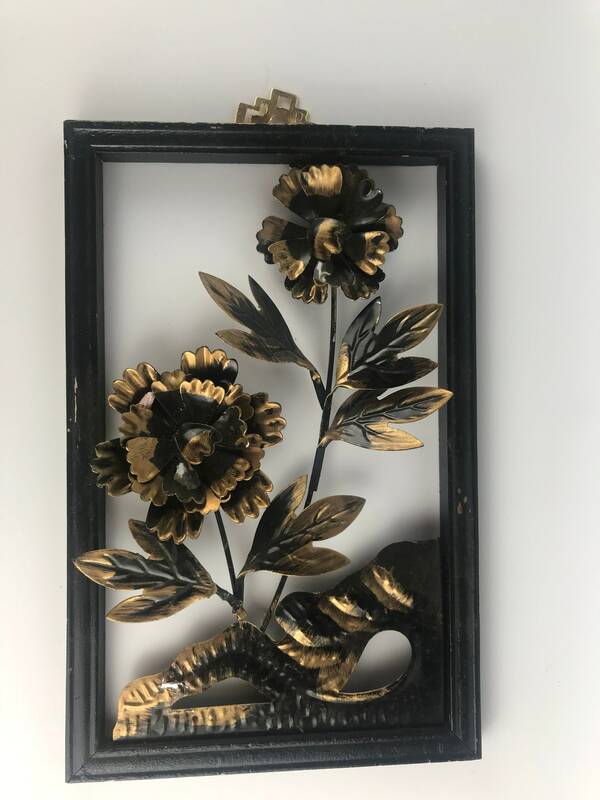 All items sold as-is, be sure to check back regularly for new items or let me know if there's a particular piece of vintage furniture or decor you've been hunting for.